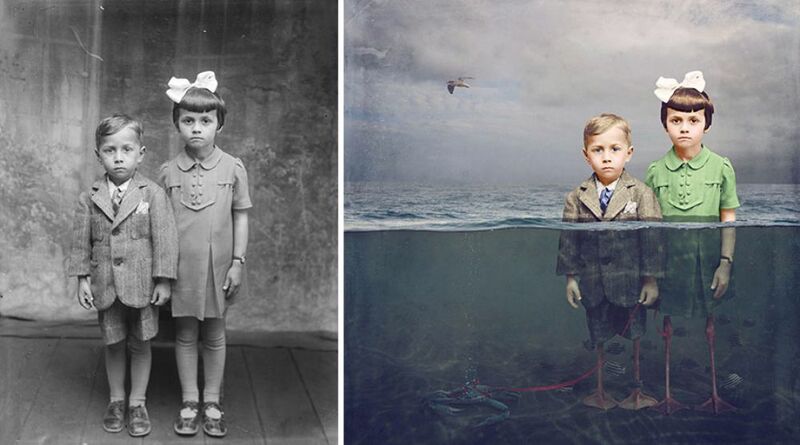 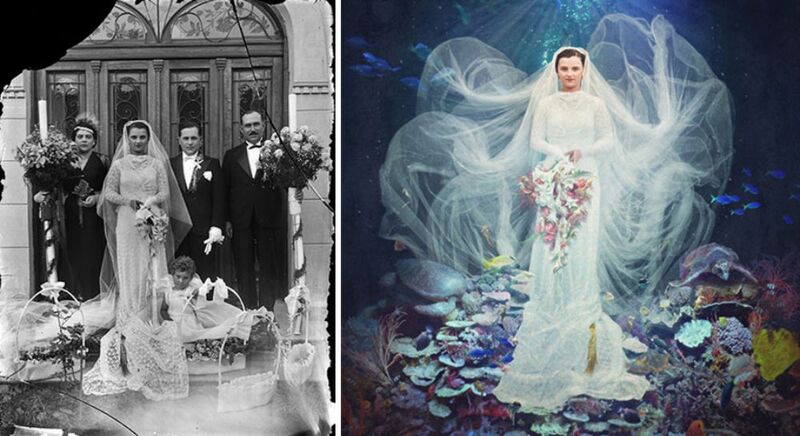 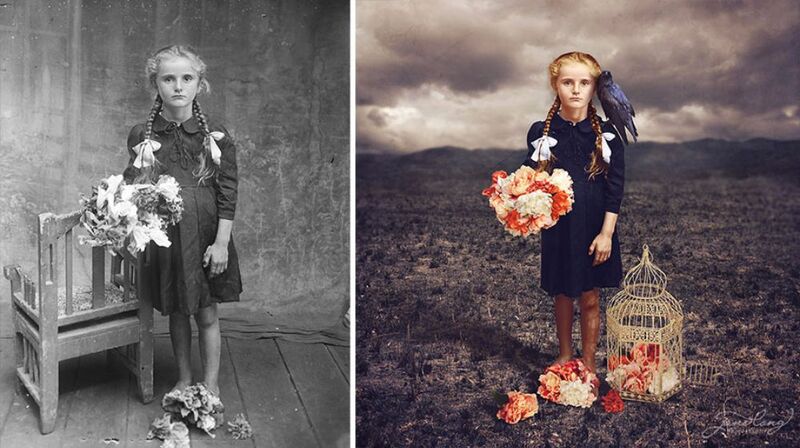 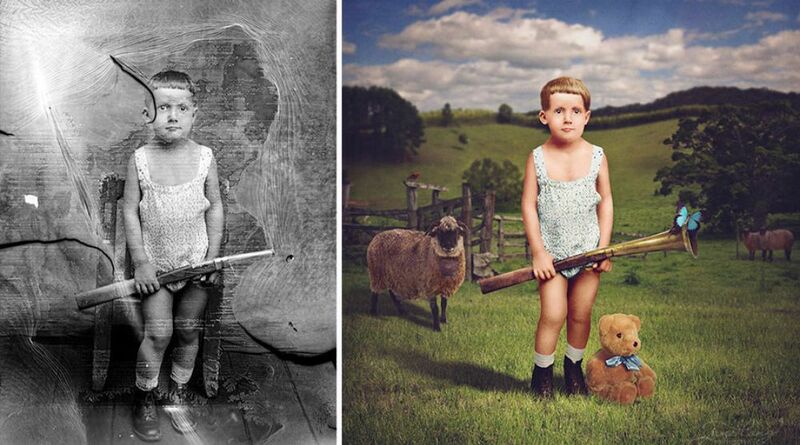 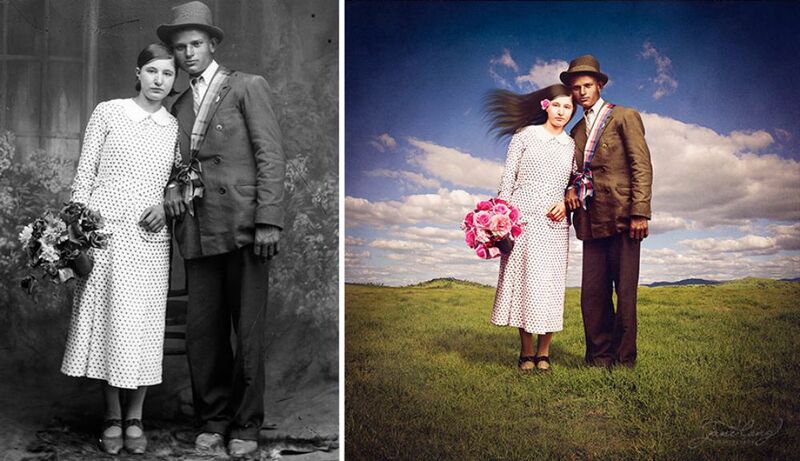 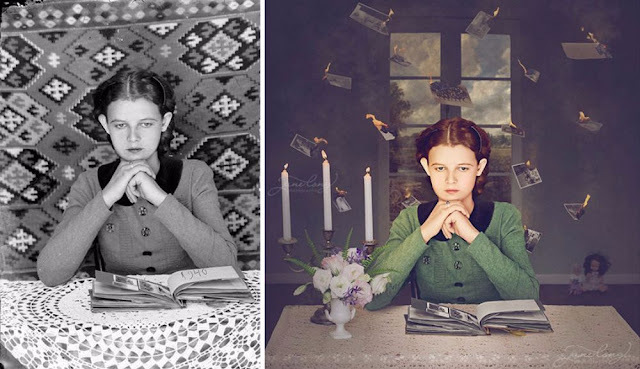 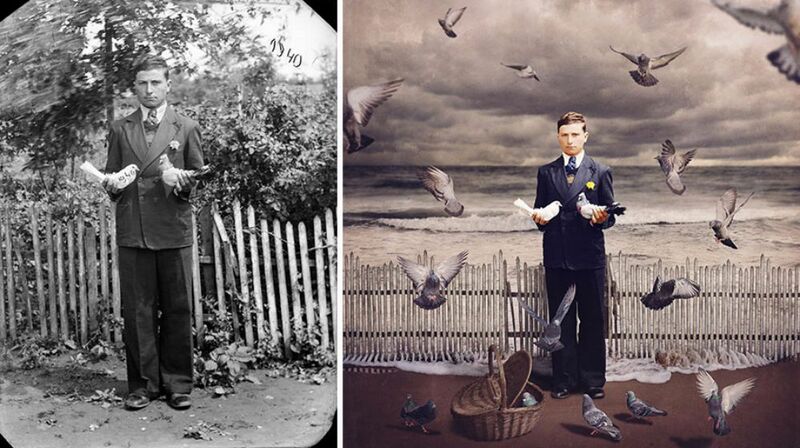 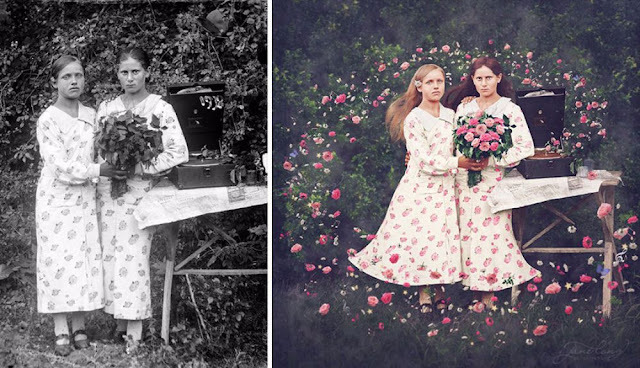 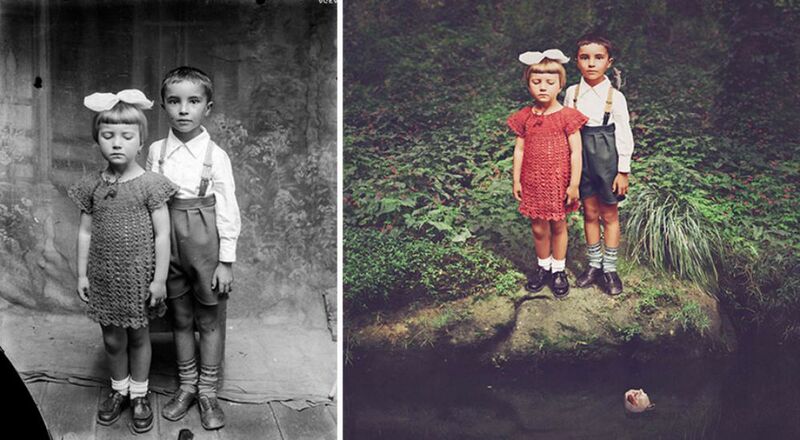 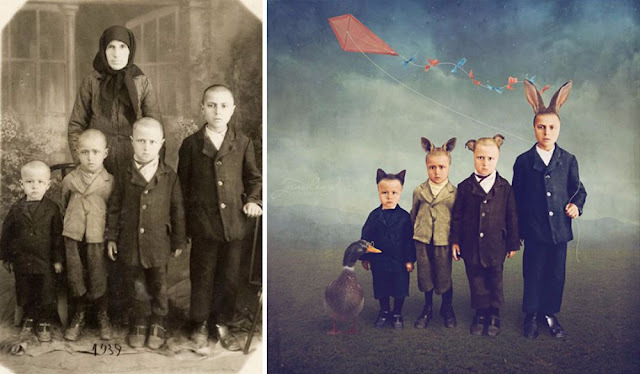 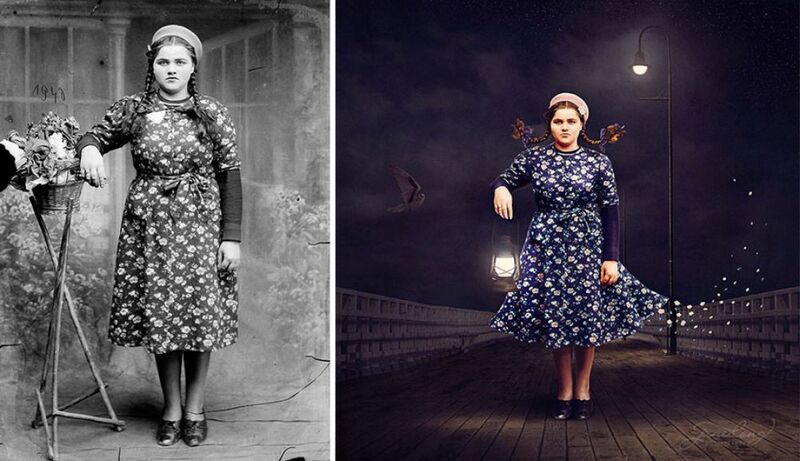 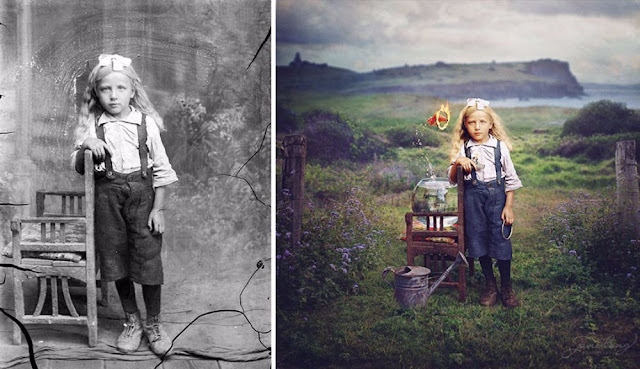 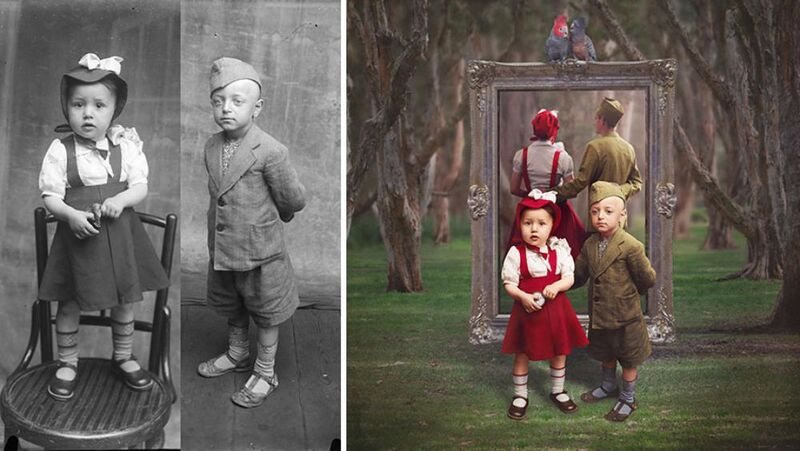 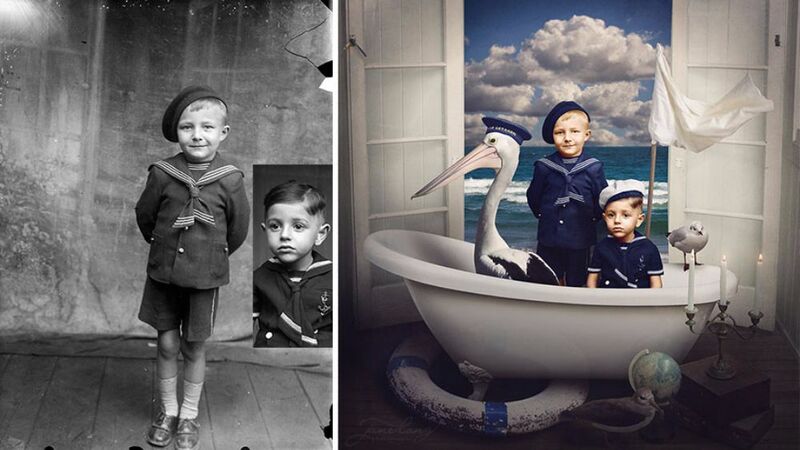 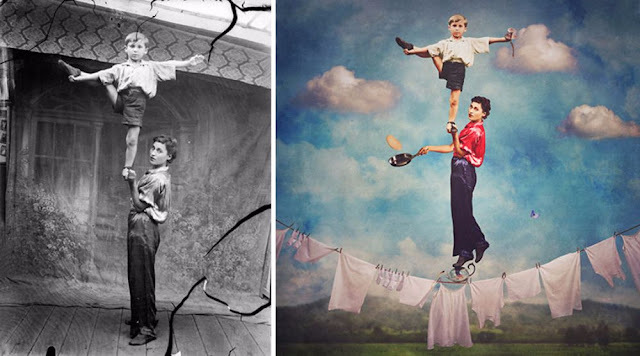 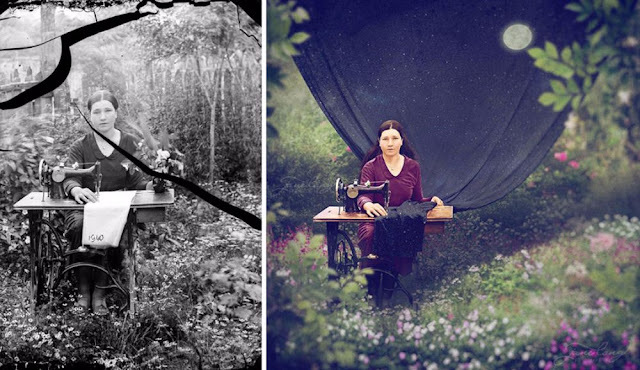 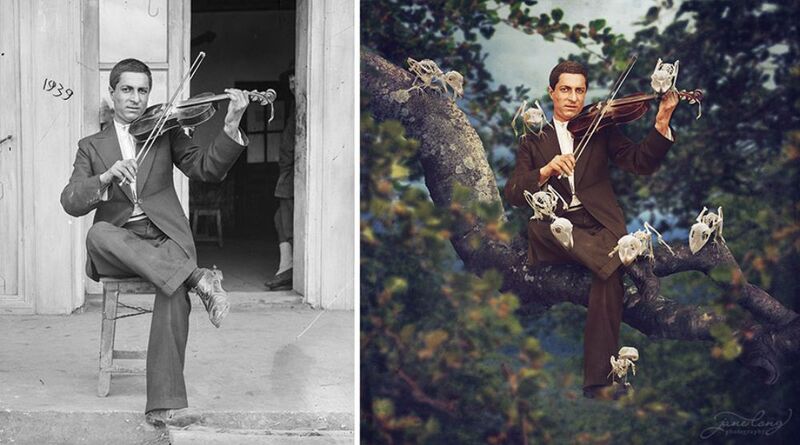 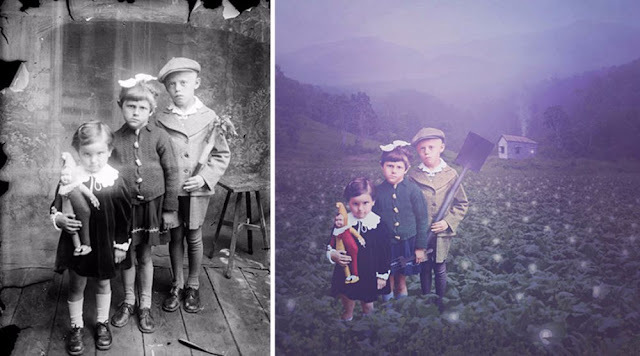 Fascinated by the thousands of old photographs on glass plates from the Costica Acsinte Archive, Australian artist Jane Long has created more imaginatively surreal compositions by digitally restoring, colorizing, and manipulating black-and-white photos captured over 50 years ago. By adding color and fanciful elements to each glass-plate photo, Long creates a whimsical fusion of past and present. Without altering the original subjects too much, she transplants them to wacky worlds that often contrast the stiff, stately appearance of each individual, opening up the images to whole new realms of possibility.